Hitler is terrorizing the world and his current stop is Paris, home to many ethnic groups, a melting pot for the arts and those who live the Bohemian lifestyle of excess. In their midst is a fallen angel who makes it her mission to keep those she loves safe from the future visions she has seen, no matter what it takes. 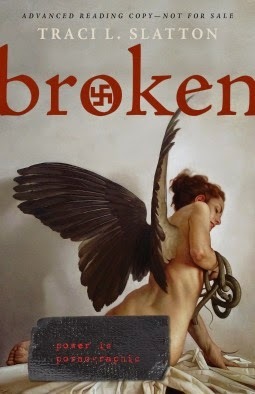 Broken by Traci L. Slatton is a dark tale of pain, loss and a love strong enough to risk everything to save those who need saving the most. Will it also be a form of redemption for Alia, angel who has fallen from the graces of Heaven? I received an ARC edition from Traci L. Slatton in exchange for my honest review.